Typical treatment for mild to moderate periodontal disease is scaling and root planning (SRP), possibly followed or accompanied by adjuncts like antiseptics or antimicrobials. A systematic review of 72 research articles that provided data on clinical attachment gain and were at least 6 months in duration were included. This review revealed some interesting findings. Clinical attachment is a valid metric and a more stable indicator of periodontal improvement than probing depth reduction or bleeding. Gains in clinical attachment account for about 50% of probing depth reduction. A modest benefit of 0.49 mm net gain in clinical attachment was discovered. This benefit was found to outweigh any adverse effects like discomfort or sensitivity. Why wasn't the finding greater? There are several reasons. Baseline levels of disease were not included in the assessment of mean change. Therefore, it is possible that the value reported may underrepresent the true effect of treatment, especially in deeper pockets. 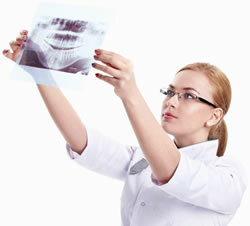 Second, there was inconsistency among the studies in how sites and teeth were assessed. 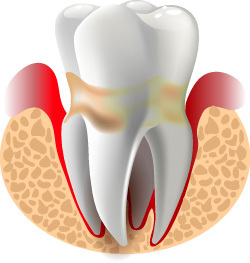 Some included only periodontally involved areas, others the whole mouth. Whole mouth measurements may also lead to an underestimation of the treatment effect. There was insufficient evidence on the potential benefits of lasers. This is due to the wide variety available along with mutiple protocols for use. How does this compare to the British Society of Periodontology guidelines? The British Society of Periodontology also provides guidelines to ensure an effective basic periodontal examination (BPE) every time, recommending oral hygiene instruction alongside any treatment for all patients with scores of 1-4. In fact, there is evidence to suggest that there is little value in providing scaling and polishing plaque removal, without proper oral hygiene instruction. Therefore, it's essential that we are delivering clear and carefully tailored oral health advice to every patient, in order to help combat or prevent periodontal disease. What's more, there is strong evidence supporting the use of oral adjuncts like a Waterpik® Water Flosser instead of string floss. As the latter can be difficult to use for some patients and the Water Flosser has been found to be more effective at removing plaque and reducing gingival bleeding and inflammation, this is a viable option to help patients maintain their dental health. 30 subjects with moderate to severe periodontal disease received scaling and root planning and were then randomised into two groups. One received minocycline into their deepest periodontal pockets. 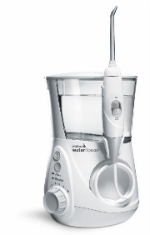 The second group used a Waterpik® Water Flosser with water once a day. Both treatment groups experienced a significant improvement in all clinical parameters (bleeding on probing, pocket depth, clinical attachment level) at 30 days. Both procedures appreared to be able to maintain a low bacterial load inside periodontal pockets. The investigators concluded that the Waterpik® Water Flosser is an effective alternative to subgingival antibiotics for periodontal maintenance over a 30 day period.